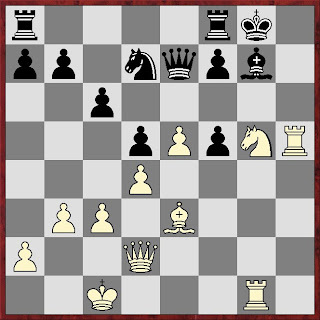 A blog about my experiences as a chess player. Primarily instructional posts are made on a semi-regular basis. 25. Ne6!! Resigns since black must lose at least a piece to avoid mate. However, there is a much simpler way to finish the game. I had calculated it out before, but didn't write it down anywhere, so when it came time to make my move days later, I had forgotten all about it! Like Jeremy's Chess Adventures on facebook! I recently finished up college and am now employed by Epic in Wisconsin. This is my personal blog about my chess related activities. If you ask something or email me about something I will respond to it. I will put one up in exchange for a link.